Learn about the most commonly suggested autism causes, including fragile X syndrome, vaccines, and the opiate theory. Research is currently suggesting multiple causes due to the wide array of symptoms that are typically associated with autistic disorder. One proven cause is fragile X syndrome. This is a genetic disorder that is inherited. For some children the cause may be related to an underlying disease, such as mitochondrial disease. For other children there is speculation that vaccinations may be correlated as well as a food intolerance. Currently, the most controversial theorized autism cause is related to childhood vaccines. While, there have not been any official studies supporting evidence of vaccines contributing to autistic disorder, there have been a lot of parents stating a distinct difference in their child following a vaccine, especially the measles-mumps-rubella (MMR) vaccine. Over time the differences they noticed resulted in a diagnosis, seeming to make this a valid autism cause. However, there is a disorder called childhood disintegrative disorder that also presents itself as a sudden regression in skills and appearance of very similar symptoms. The theorized cause of this particular disorder includes the possibility that a gene is triggered during the early stages of development that contributes to the regression. Other theories include environmental exposures, such as toxins, an infection, an autoimmune response that causes the body’s immune system to attack part of the brain, or possibly even epilepsy. Recently, I have heard that for children with an undiagnosed mitochondrial disease, vaccines may be one of the autism causes due to stress on the body, resulting in the display of your typical characteristics. You can read more about this theory by clicking the link above. Another hypothesized cause is related to gluten and casein foods. This particular theory suggests that for some individuals, their body is unable to properly digest gluten and casein foods, which results in an opium drug effect. Due to a compromised digestive system, such as leaky gut syndrome, the intestines allow extra-large opium-like molecules to be absorbed into the child's bloodstream instead of eliminating them as waste(1). Once the molecules are absorbed into the bloodstream, they travel to the brain, where they then produce a drug induced "high" that results in symptoms. By following a special autism diet that includes gluten and casein free food, the child is then able to become more aware of his or her surroundings and learn appropriate behaviors. I have worked with children on this diet and although it is said that the child must be on the diet for at least one year to notice a difference, one in particular showed dramatic improvements in eye contact and communication through the use of a picture exchange communication system without an intensive applied behavior analysis program. He also previously had chronic diarrhea that disappeared after implementing the diet. Some obvious signs of this as a possible autism cause may include chronic diarrhea, bloating, flatulence, nutritional deficiencies, and other allergy symptoms. Genetics are most likely a contributing autism cause, making some individuals more susceptible than others. Another belief is that auto-immune disorders play a role due to antibodies that attack the brain of a child with autism. Research is also indicating that it may be the result of a disruption of early brain development while still in utero. This may be promising if we are able to determine a certain type of prenatal care that is needed for prevention. Regardless of what the cause may be, the recommended treatments for autistic disorder are generally the same for each child. If you suspect your child may be showing even mild symptoms be sure to check out the printable symptoms checklist. I know it can be scary to think that your child may have something wrong with him/her, but early intervention is the best predictor of whether a child will recover from the symptoms. 1. Rudy, L.J. 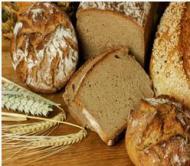 Can Wheat or Dairy Cause Autism?. (2008). www.autism.about.com. 2-19-10. 2. Autism Symptoms, Causes, Treatment, and More (2009). WebMD. www.webmd.com. 2-19-10.